One of Karen’s favorite flavors created this recipe. 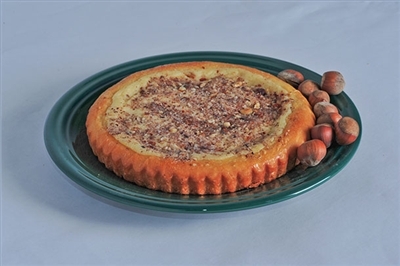 Chopped filberts and sugar top this kuchen with hazelnut flavored custard. If you like Hazelnut coffee you will love this kuchen.